Two walkers were rescued from a Snowdonia mountain as Storm Callum’s high winds and torrential rain lashed the hill. The men called for help from Tryfan after getting into difficulties on the North Ridge. Ogwen Valley Mountain Rescue Organisation was alerted about 3.20pm on Saturday. 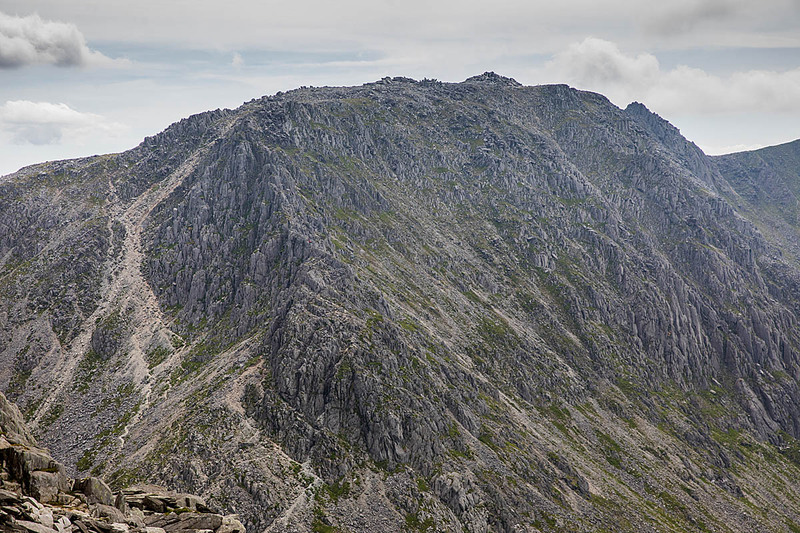 Team spokesman Chris Lloyd said: “The two, who were reasonably equipped for a good day on the hills – in good weather – had left Norfolk very early in the day, with the intention of climbing Tryfan via the North Ridge. “They had been hillwalking in the Peak District, the Lake District, parts of Scotland and Skye, so had plenty of experience. “Having never been to Snowdonia before, they had their minds set on the North Ridge of Tryfan and, come what may, they were going to climb it today. Mr Lloyd said the walkers were unable to find a scrambling route up the North Tower as dense cloud enveloped the mountain. They called 999 for help, saying the weather worse than they had expected. “After a telephone conversation with the team leader, they were persuaded to use their GPS to navigate a safe return to the Ogwen Valley and that they were to remain in frequent contact with the team leader,” he said. “A spotter from Oggi Base was sent to try to locate the two, using binoculars from locations along the A5 road. However, low cloud and sheets of rain on the surface of Llyn Ogwen prevented any success. “Without further communication from the two, a party of four team members were despatched to climb from below Milestone Buttress. The two men, in their early 30s, were taken to the team’s base for a warm-up, a cup of tea and the opportunity to change into dry clothing inside a warm building rather than at their planned camp. Earlier in the week, the team dealt with two incidents. 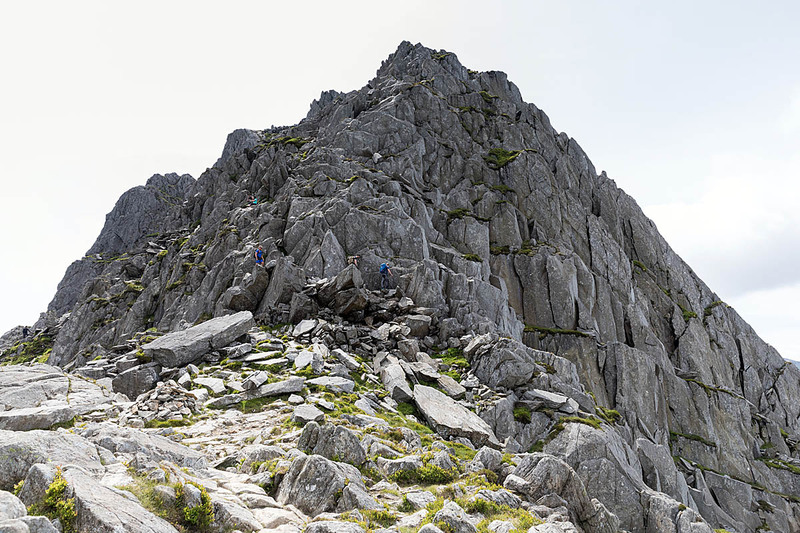 On Wednesday a couple called for help after one of them slipped above the Cannon Rock on Tryfan’s North Ridge. The woman landed awkwardly on her elbow, injuring herself. The pair made their way down the ridge but reached a steep section and dialled 999. A small number of team members made their way to the site and splinted the woman’s arm, accompanying her back to the rescuers’ base where she received further treatment before going to hospital. About the same time the team was alerted to an 80-year-old man who had been walking on his own on Glyder Fach. He took a tumbling fall on the scree slope on the west side of Bristly Ridge, suffering a head injury and other minor injuries. He began a slow descent lasting three hours. Mr Lloyd said another walker came across the injured man. “The casualty did not want any assistance so the man telephoned for mountain rescue as he was concerned for the gentleman’s welfare. Mr Lloyd said the fellow walker stayed with the injured man until he was airlifted to hospital. Thinking of heading up Tryfan? Read this first. Seriously ???? ?, a severe storm, specifically identified to hit NW Wales, and peeps choose to venture out onto a particularly 'tricky' route on a particularly' tricky' mountain in NW Wales, and your report describes them as having alot of experience !!!!! Sounds more like alot of luck up 'till now. FFS, the weathers calm the following week likely, go then, and save alot of hassle for an already stretched rescue service. Large donation forthcoming please. Indeed, Di. The sheer, pig-headed stupidity and selfishness of some never ceases to amaze. They even came up on the day, which is the most mind-boggling bit of it all. Had they already been there and decided to risk it then it's slightly better. But to travel up specifically, while knowing the weather was going to be pure sh*te? No way! Maybe experianced, but no common sense!! Moronic in the extreme. Sadly, I'm not surprised. The sheer stupidity of some people is staggering. Conversely, the 80 year old bloke with a head injury sought to self rescue. Breeds apart. It seems to be a recurring theme with many call-outs these days. People are either ill-equipped, or calling 999 is just the easy option. Oh, so my torch battery has failed and it's getting dark (Pen-y-ghent recently) ... what, you mean you're not equipped for an unexpected overnight?? As Di says ... "how about a donation?". I think donations in situations like this should be 'mandatory'.